from a specific point of view or unfolding a real story of an historic event. All the SIGNATURE RUNNING TOURS tours are private, exclusively for you or your group. Route and attractions selected especially for each tour. Distance: 7 to 9 kms, easy pace. 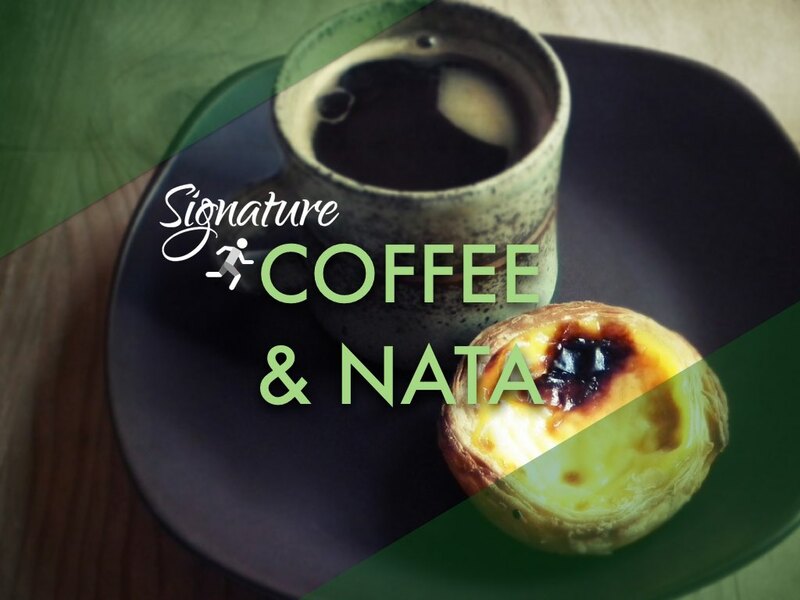 The COFFEE & NATA tour combines four of our favourite things: running, history, coffee and Portuguese custard tarts! The running tour features two coffee stops (one for specialty coffee, the other's actually a coffee&nata stop! ), some entertaining stories about Portuguese entrepreneurs, all about the historic coffee shops of Porto and some talk about quirky marketing strategies for the sale of... coffee! Golden opportunity to test - and quickly burn off - our beloved Custard tart & Coffee combination which you'll notice is nothing short of an energy bar - egg&milk protein, sugar and caffeine! 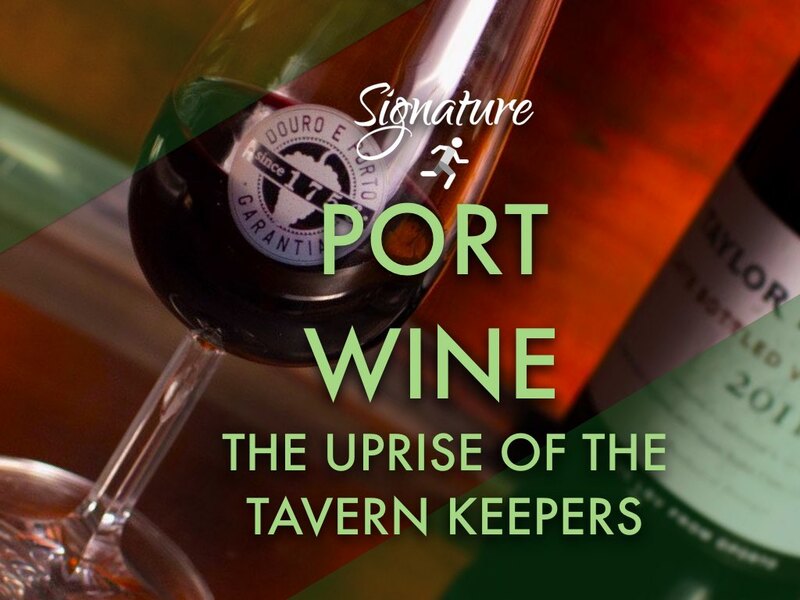 During this PORT WINE running tour we delve into one of the most humiliating episodes of the city's History to learn how a Portuguese Prime minister saved the Port wine export business from sinking, back in 1756. The tavern keepers and coopers in Porto were the visible face of an uprise against a recently created tax on wine that ultimately became the major source of funding for an urban development boost in Porto during the late 1700's! The city of Porto, like Vintage Port, is getting better and better with age and should be enjoyed on the most special occasion: your visit! Let's run and explore. Run now, wine at the end ! The St. James church and the British Factory house of Porto are just a couple of the locations where an active British community still gathers to socialize or discuss business. We will talk about how a few important historic characters shaped the city's architecture and helped in growing the present successful wine export activity . 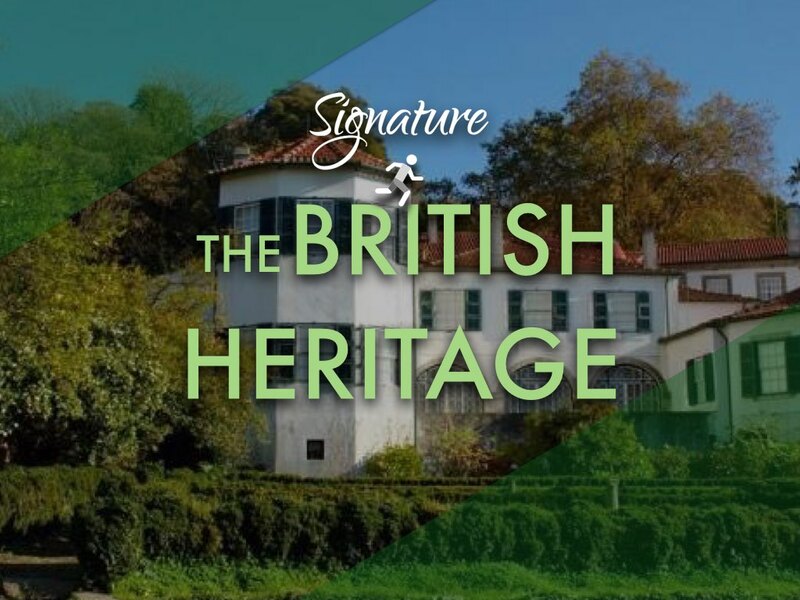 In the BRITISH HERITAGE tour we will also run by other places where some English natives earned their special place in Porto's history throughout almost 600 years of the Anglo-Portuguese alliance. The pilgrimage to "Campus Stellae" in Galicia (or Compostela) is even older than the 12th century Cathedral of Porto. The city has always been a chosen place of passage - or even a starting point - for the ones enduring the long journey to Santiago (St. James) by foot or bicycle. 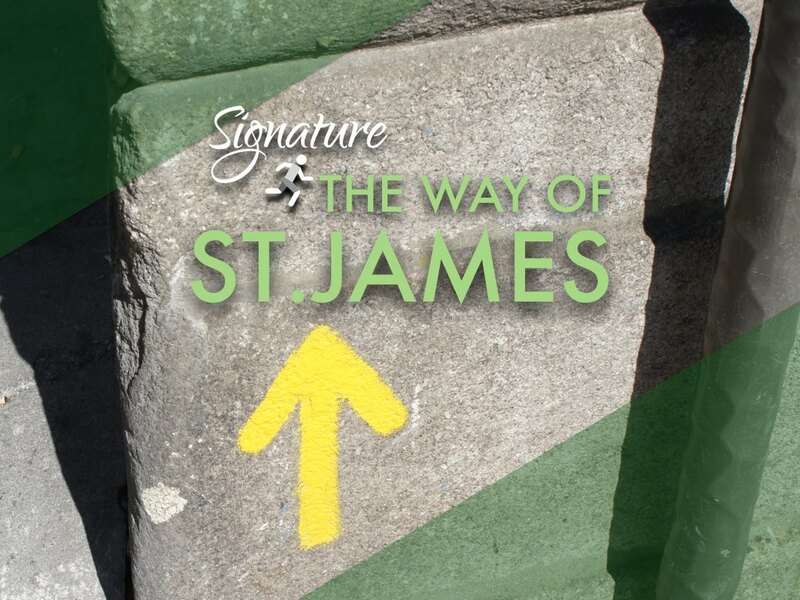 There is a pre-established marked route and many hidden elements scattered throughout the city that we'll explore and talk about during our WAY TO ST.JAMES running tour of Porto, exploring its symbolism. For beer fans visiting Porto, the survival keyword is 'fino', the regional designation for beer on tap. 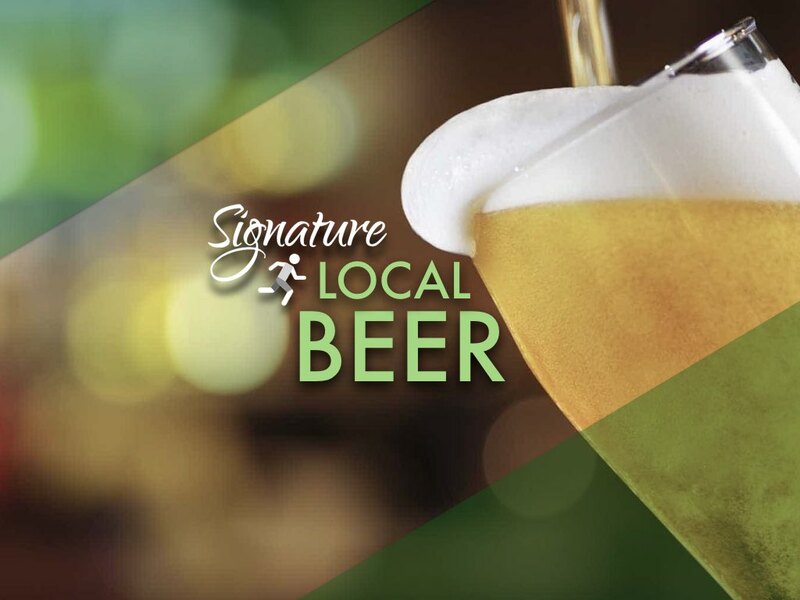 On our LOCAL BEER running tour we'll share a few other tips and explore the history of the genuinely Portuense Super Bock and also the recent rise of craft beer producers and bars. Running downtown during the late morning or afternoon, we'll have to deal with traffic lights, the occasional dense flock of tourists, a few construction sites and other urban challenges but will then reward ourselves with a pint or two. The most romantic of our SIGNATURE running tours: the IN SEARCH OF LOVE focuses on two love stories, one about a forbidden love of two writers and the other about the love of the last true romantic Portuguese hero... for the city of Porto! ​We'll cover the first half of the 19th century, when the city was in constant turmoil, and the romantic quieter second half, when Porto suffered a outbreak of a strange epidemy: almost every educated young man considered himself to be... a poet! and now know the major touristic landmarks. ​all that lead to Porto's present charm and feel. We pour a lot of effort and love into organizing and leading these tours, making sure you go home with much more than just the 'must-see' and 'must-visit' checked off list! Join us on a relaxed guided running tour across the city as we explore some of its most interesting stories!